Originally written in 1911 by John Steven-McGroarty and now adapted for the 21st century, “The Mission Play” tells the tale of the rise of the California mission system charting the relationships between the Franciscan friars, Spanish army and Native American tribes. However, the play is not about clashing communications but connecting community and celebrating culture. From April 5-April 7 audiences can watch as history unfolds in the re-imagined version of the play at the San Gabriel Mission Playhouse. The play was originally performed in 1912-1932 to be seen by over 2.5 million people at the playhouse. I am honored to play, Sue, one of the four modern teens that break out in a hip-hop dance at the beginning of the play to later be swept back in time to go on a journey to learn about respect, resilience and resonance. The four teens are additions to the newly adapted version that are present throughout the whole show to help connect the 21st century to the classic tale. The terms respect, resilience and resonance are applicable both to this play and any actor’s career. Respect: It is helpful to respect yourself as an actor and the other professionals you get to work with. Respect can translate into learning the “lines” as written, respecting what everyone brings to the table, props, wardrobe or respecting the time you commit to the rehearsal process. “Mission Play”: The play touches on valuing time whether it be the past (ancestors and own memories), present (change) or future possibilities. Just like respect should be given to every professional working on a show, the teens learn that respect should be given to anyone who may have opposing viewpoints or culture anchors. Resilience: I recognize that artists face a lot of rejection, possible disappointment or negativity surrounding their craft and lifestyle. It might be helpful to do a litmus test to understand how you personally react to situations and develop a glass half full type attitude. I think it is important to have a full life where acting is not the only you thing you do and to know who truly loves you. What audience do you live to please? I live for an audience of one. “Mission Play”: Numerous characters remain faithful to their personal mission and vision despite numerous setbacks. 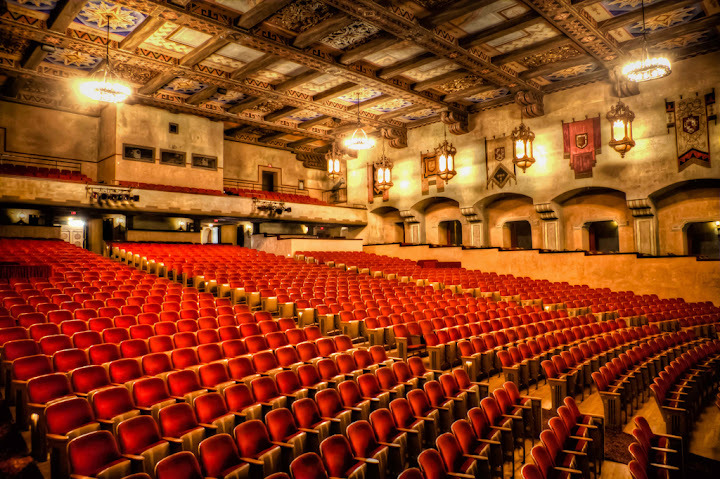 The theater itself was built in 1927 to house the production and has remained standing through earthquakes and time. In addition, the show spans about sixty years showing how different groups of people survived. Resonance: Choose projects that inspire you and that you connect with. Whenever I read scripts I get so excited when I read someone’s life off the page that resonates with me. There is a physical and emotional connection that flips the switch. “Mission Play”: The theater space is breathtaking and walking into a place with so much history sends ripples of electrifying energy through my system. Certain places evoke different emotions and trigger the five senses into action. I am blessed to go to work and play with my fellow ensemble members here. Come experience the theater’s rich history and learn along with my character Sue how respect, resilience and resonance can impact history with love and forgiveness. Check-out the radiant theater and see what resonates with you. Click here to buy tickets. I look forward to entering tech week for the show and celebrating Easter where history is HIS story! Happy Easter! “Dancing With the Stars” is back tonight with a brand new set of celebrities paired with pros competing for the mirror-ball trophy on abc at 8 p.m.. I am excited to see a new crop of dance hopefuls enter the ballroom. It will be fun to look for the new partnering dynamics, the improvement over the season and how each celebrity enjoys the process. The professional dancers that draw me in are the ones that move with purpose, power and precision. Purpose: Knowing what story your body is meant to tell in response to moving with a partner and music. Power: Controlled power and fluidity to create resistance in extensions which can turn a simple walk into a defining movement. Precision: Hitting or accenting certain moves to create lovely pictures from the relaxed hand to the pointed toe. However, having purpose, power and precision isn’t everything. The rehearsal footage and interviews show celebrities as real people. I am looking for passion, personality, and persistence. Passion: Someone who is willing to invest emotions into dance and is willing to be vulnerable. Personality: Bringing playfulness to the dance floor with a carefree abandonment that is unique to them. Persistence: Striving to continue to take constructive criticism and be open to growth. I am looking out for Zendaya, Dorothy Hamill, Kelli Pickler, Jacoby Jones, and Aly Raisman. In addition there are the evolving partnerships where I look for physicality, patience, and the process. Physicality: How two bodies move as one and relate to each other. Patience: Needed from both pro and celebrity as they grow as a team and in ability. Process: The journey the two people go on during rehearsal and on taping nights. Acting can be like ballroom dancing where your “scene partner” is your fellow dancer. I love to respond off what my fellow actor is giving me in that moment. The focus is not on you but on the relationship and trust needed to move forward even if it is in an unexpected direction. Overall, it can be the emotion, the fun, the chemistry and willingness to learn and entertain that people respond to the most. I think the show excels at showcasing entertainment which trumps technical ability or dance knowledge. DWTS certainly has created the right formula for magic with professionals moving with power, people (judges and hosts included) with panache and partnerships primed for playful performances. I am looking forward to all of that tonight. For great information and videos check out the website Pure dwts. To watch the performances immediately (sometimes even before the show airs California time) check out Rickey.org. Other things to watch out for this season: The new added dance styles such as contemporary, the costumes, choreography, the theme nights and the results shows performances. I have heard many times that actors need to listen. It is something that can be simple but can get over complicated. ABC Family’s “Switched at Birth” television show proves that you don’t listen just with your ears but with your eyes. Several characters communicate using sign language and make listening fascinating. When I watch the show I am compelled to stop multitasking and to focus on watching the relationships and signing on screen. In some scenes there is no background music to mask the absence of vocalization. Nevertheless, the show goes beyond being known for having deaf and hearing characters. The concept of the show having two babies being switched at birth brings up identity, family nature verses nurture issues. I have so much respect for the show and actors who rise to the challenge of playing deaf characters or opposite them. In many of the episodes actors are communicating with two languages at the same time. Katie Leclerc’s deaf accent and how the show is consistent in watching lips to understand are only some highlights to look for. Last week, the episode “Uprising” was entirely in ASL with an exception of a few moments at the beginning and end. Tomorrow, is the mid-season finale on ABC Family 8 p.m.. Overall, in life and on screen the moments where verbally nothing is said can be the most revealing. It is what not said that can be interesting. Silence is golden and can reveal beautiful vulnerability. Marlee Matlin’s character says it is not about hearing loss but hearing gain. What will you gain by truly listening in your relationships-silence included? The mention of the “Wizard of Oz” acts like a rubberband on my heart snapping me back to flashes of green and the vision of Mickey Rooney as the Wizard leaving in the hot air balloon in the touring musical at what is now the Segerstrom Center for the Arts. It was my first acting experience on stage with the curtain being pulled back on how theater magic happens. Perception: Perhaps at first thought, the story of the “Wizard of Oz” can be perceived as a children’s tale. However, with deeper thought the book’s message touches on some universal themes of being accepted and valued for individual gifts and character—having a home where you belong. Deception: The Wizard’s story itself is twisted into a tale of deception with many movie fans forgetting that Baum’s version has an Emerald City made green only by the glasses that framed each inhabitant’s vision. Perspective: On March 8, “Oz the Great and Powerful” hits movie theaters giving us another perspective of the Oz story. I am looking forward to seeing how director, Sam Raimi interprets a world where hidden desires can be the underbelly of actions. Perception, deception and perspective can all be useful tools for an actor to understand. It can be helpful to me to understand how each person perceives a situation, how they deceive not only outsiders but themselves and what perspective from my own life experience can I bring. What “glasses” does this person or character wear that frames their worldview? El Capitan Theatre: March 8-31. 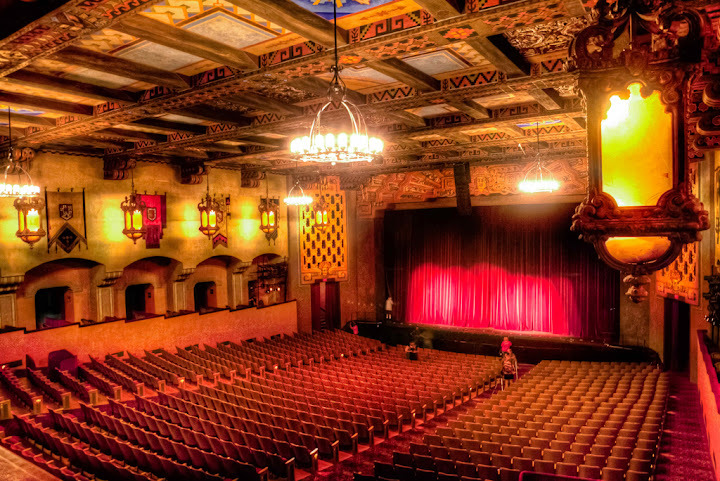 Enjoy both the movie and “Mysteries of Magic” show where a live magician will entertain you in the beautiful theater. Cinepolis Luxury Theater (Westlake Village, Rancho Santa Margarita, Del Mar etc. ): Check out the reclining chairs with gourmet popcorn, delectable food selections and assigned seating for something a little bit different. It has been 113 years since Baum wrote his book and many years since my first acting role. Those years have granted me some perspective in knowing what I want to frame my worldview with.